Snopes, the popular fact-checking website that’s been around for over 20 years, is caught up in a messy legal battle that could see it closed down unless it can raise enough funds through a crowdfunding campaign. 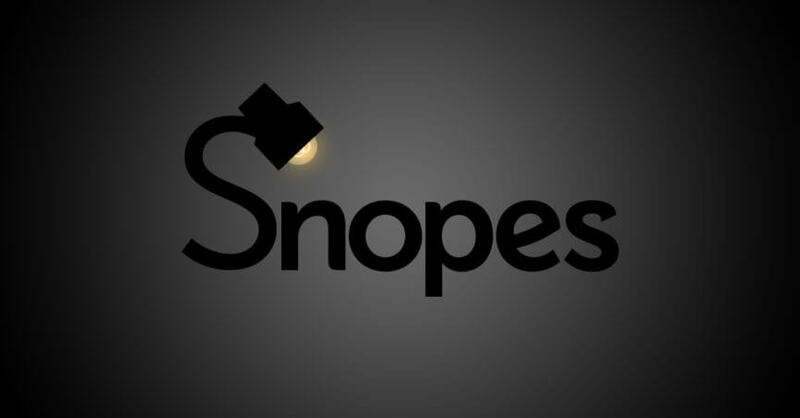 Since Snopes’ launch in 1994, the site has debunked thousands of urban legends and internet hoaxes. In the current era of “fake news,” it has become many people’s first choice when it comes to checking a story’s facts. But the company says it’s “in danger of closing its doors” due to an ownership battle. “The vendor continues to insert their own ads and has been withholding the advertising revenue from us,” it claims. If it can’t find the money to pay staff and cover the legal fees, Snopes faces closure. The site has turned to gofundme as a way of meeting these costs, and it appears to have been successful. In just 19 hours, 16,000+ people have donated over $450,000 toward the $500,000 target. "It’s a little bit embarrassing having to go to the public to ask for money, but we’re kind of forced into the position. We didn’t have any other choice," said Snopes founder David Mikkelson. He formed a parent company with his ex-wife, Barbara Mikkelson, in 2003 called Bardav (Barbara + David), which is at the center of the dispute. The firm allegedly holding Snopes to ransom is Internet media management company Proper Media. In August 2015, Snopes entered a revenue-share/content and ad management agreement with firm. But Proper now claims to own 50 percent of Snopes because it bought Barbara Mikkelson's half-share in the company in 2016, two years after her divorce proceedings began. Proper Media states that under its General Services Agreement with Bardav, it is "responsible for managing all content and advertising accounts for Snopes." In a lawsuit between the two companies, Proper states that Mikkelson has tried to stop it from performing its duties, mismanaged company funds, and “engaged in a lengthy scheme of concealment and subterfuge to gain control of the company and to drain its profits." Speaking to TechCrunch, David Mikkelson contests all of Proper’s allegations, including that it owns half of Snopes.